The Blue Mountains is a kaleidoscope of contrasts and colour, rich in Australian bush and wildlife. Located in the Blue Mountains is the Jenolan Caves, an award winning magical escape for all types of visitors that will blow you away. Complete with 11 spectacular caves, containing pure underground rivers and astonishing limestone formations, the Jenolan Caves will enthral you with their beauty. This Blue Mountains and Jenolan Caves Tour is arguably the best Blue Mountains Trip on offer. Departing Sydney we head directly to the Blue Mountains, touring through the area and its magnificent bush landscape. 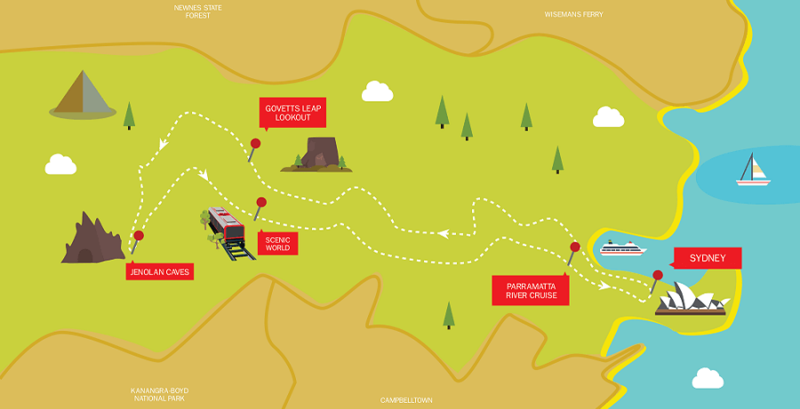 Take in all its beauty as we head to Scenic World – the home of the Scenic Railway. 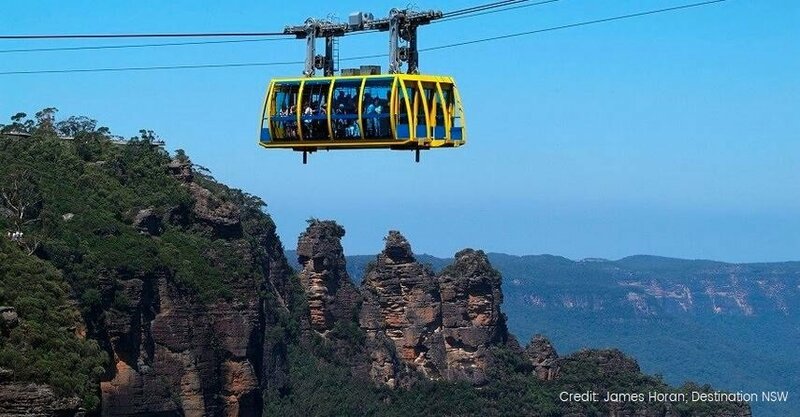 It’s here you are able to ride the steepest railway in the world down into the valley and glide out of the valley on the Cableway giving you stunning views of the Jamison Valley and The Three Sisters. 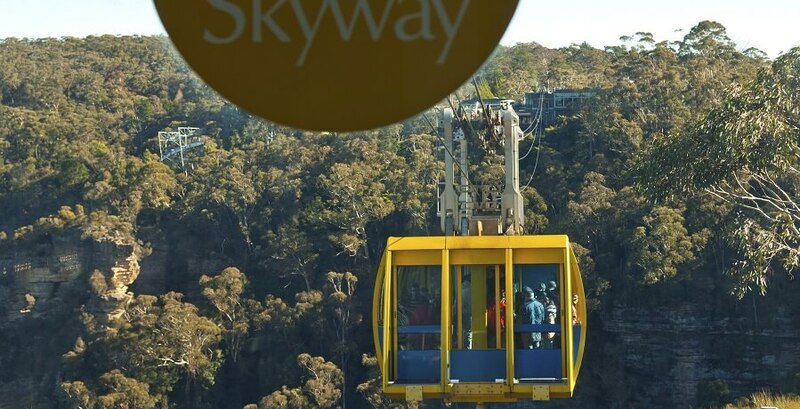 Complete your experience with the Skyway, riding 370 meters above the mountain chasm (rides as your own expense). They say that magic happens at Jenolan Caves. 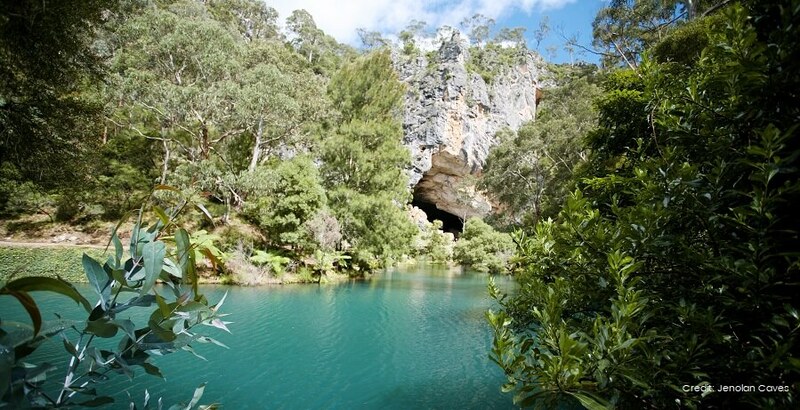 The caves are Australia’s largest and most popular limestone caves and are dated to 340 million years old. 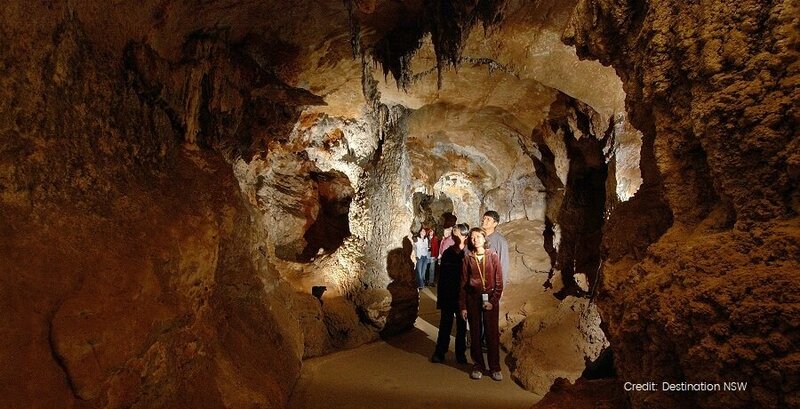 Enjoy a fully 1.5hr guided Jenolan Caves Tour of the Lucas Cave. We will walk you through the underground maze of tunnels, subterranean rivers and natural caverns hidden below the surface. You’ll have time to relax and view the Grand Arch, the mysterious Blue Lake and the beautiful Caves Guesthouse. A bistro lunch is also available at your own expense. Relax as you make your return journey home through Homebush (the home to the Sydney 2000 Olympic Games). 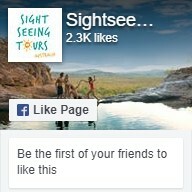 It’s here you will board your river cruise and enjoy the scenery as you journey back down the Parramatta River into Circular Quay or Darling Harbour.